Today, a total of 15 kilometers, approximately 25%, of the 1960 Olympic Nordic Trails have survived and been restored for hiking and biking. After the 1960 Winter Games, the Olympic Nordic Trails were more or less forgotten. Mother Nature took over and the facility and it faded into oblivion until a few years ago when the vision to restore the trails was conceived. In 1999, after uncovering a portion of the trails in his Tahoma, California backyard, environmental engineer, historian, author and 35-year Tahoe-Truckee resident David Antonucci began spearheading the effort to restore the Olympic trials by creating a year-round public recreation facility in the area. His efforts, along with the help of others, have been successful. The 1960 Olympic Nordic Trails are rolling, single lane parallel Nordic paths located on both private and public land, and are considered to be the first cross-country ski area in the United States. The trails were designed by former U.S. Olympian Wendall “Chummy” Broomhall and Dartmouth ski team coach Allison Merrill. 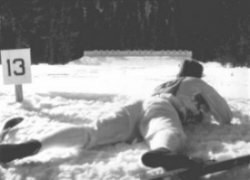 Here the first-ever biathlon competition, a 20-kilometer ski and shoot racecourse looping through the terrain of Tahoma and Homewood, California, was held. The story of the Nordic ski venue and much more about the Winter Olympics is told through Antonucci’s new book, Snowball’s Chance – The Story of the 1960 Olympic Winter Games, Squaw Valley and Lake Tahoe. 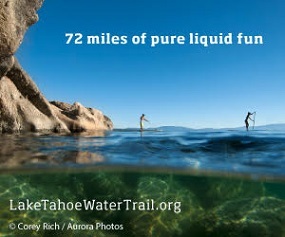 The trails are accessible to the public from Sugar Pine Point State Park, Quail Creek Meadow and McKinney Rubicon Road. Out of the 15 kilometers, five kilometers are skiable. At Sugar Pine Point State Park, there are three kilometers of Olympic trail out of a total of 6.9 kilometers of groomed trails. The other two kilometers of Olympic trail is near Homewood Mountain Resort and is not groomed. Click here to download the 1960 Cross Country Ski Trail Map.